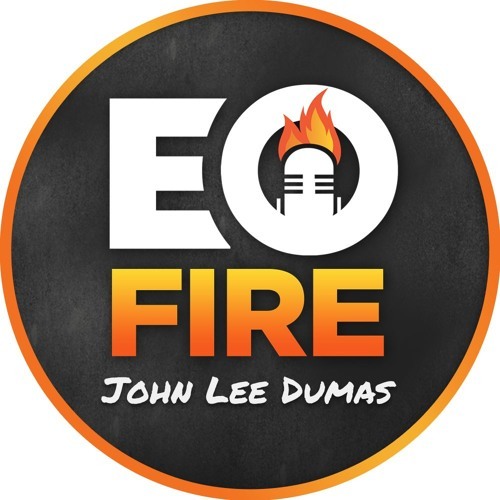 John Lee Dumas is the founder and host of EOFire, an award winning Podcast where he interviews today's most successful Entrepreneurs 7-days a week. JLD has interviewed over 1300 Entrepreneurs and EOFire has over 1 million monthly listens. John's latest project is The Freedom Journal; a gorgeous faux-leather bound journal that guides you in accomplishing your #1 goal in 100 days. Launched on Kickstarter, it raised 453k in 33 days and became the #6 most funded publishing project of all time. You can learn more at TheFreedomJournal.com.